The variable height machine is mounted on a chassis and fitted with hydraulic cylinders to allow the booms to be raised and lowered. 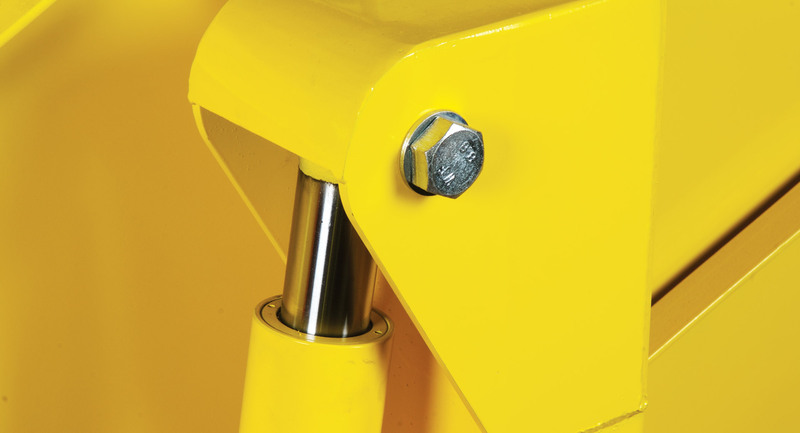 Hinge point located at the top corner of the MTC body simplifies integration into the conveyor system. The manrider platform (for either one or two operators) is optional and allows unrestricted movement in the vehicle and operation of the conveyor controls. Safety has been a primary consideration in the design of the MTC. The machine is operated from an ergonomically designed control panel at the front of the extending boom. Hold-to-run buttons enable the boom position to be adjusted within the vehicle to suit the operator and goods, thereby minimising the risk of injury resulting from goods handling operations. All conveyor rollers are fully concealed, eliminating trapping points.